When I travel, somehow, I do it to eat. I love dinning out, and I have discover its a passion a lot of people all over the world share. Every time I’m planning to visit a city I spend hours before getting there looking for great restaurants to go. I’ve realize that a lot of people like to share their local discoveries with the world and there are a lot of interesting and passionate blogs about restaurants. 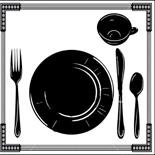 I find these personal blogs really helpful, I’m very grateful to the people behind, and I found out that there are no restaurant blogs in English in Madrid showing such great restaurants there are in Madrid. So this is my project, somehow returning all the wonderful information I’ve been getting from other blogs around the world. Enjoy my blog, enjoy Madrid! Nice blog!, I would recommend everyone to have a look as well at: http://eatamadworld.wordpress.com/ for those who share this passion too!